Have I ever been so sure? Have I ever been so selfless? Have I ever dreamed before? Love the rhythm to this poem! A heartfelt sentiment… but how long will it last? That seems to be the question. Yes, I can surrender my life for yours, today, but will I feel the same tomorrow? I suppose it doesn’t matter. Just to have such feelings, even once, even for a moment, is fulfillment enough. Thanks for the emotive prose. Please let me know if you like them. It is a really great poem, expressing that we always need someone in our life, preferably the loved one and yeah, i can totally agree with the feelings. Thank you, sir! Beautiful poetry and i agree to it, because i love someone more than i love myself. However, someone told me i should not do so… i felt a pang of pain in my chest the moment i heard that, ’cause that person so happened to be my boyfriend. The irony. have been with someone else? This poem perfectly articulates all of my feels. Good morning,Frank! This is original,authentic and honest thoughts-loved it. I admire your versatility. From dog-blogger chuckles, to edge-of-insanity dream sequences, to tender, fiercely romantic optimism, you offer the full gamut of emotions for your readers to experience. This is absolutely wonderfully beautiful. I love it. I love this. It reminds me of a situation I find myself in at the moment. I was nodding in agreement with every phrase! “I need the blood in my veins/The beat in my heart/And you in my life” Beautiful lines! Gorgeous poem! 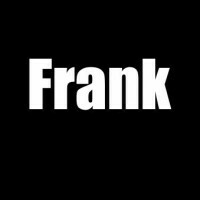 Frank, really a fantastic piece! So moving, intimate and sincere!!! I do not write poetry and don’t appreciate it as much as I should. But I do like your poem. One of these days, I’d like to take a poetry course.